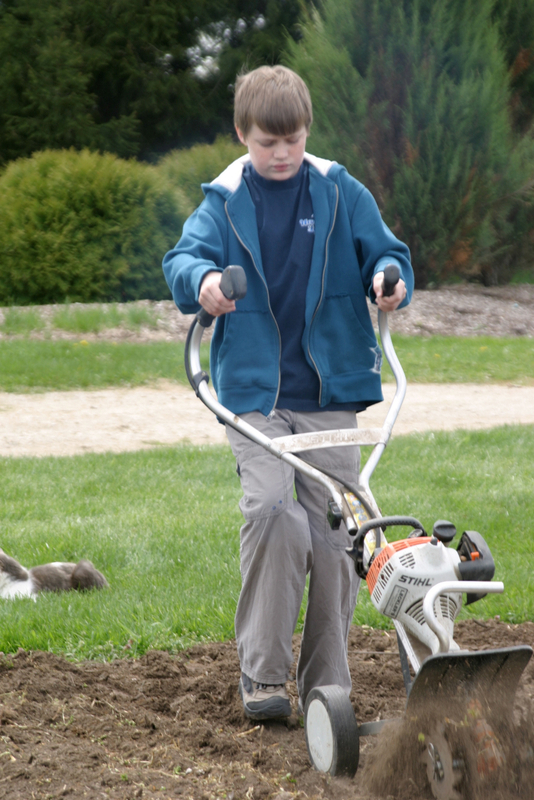 For about twenty years, Catharine Calder, daughter of William Calder of Calder Dairy and mother of Ian Calder-Piedmonte of Balsam Farms, has been managing an educational program at the Meadow Montessori School in Monroe, Michigan that gives young adolescent students a chance to get their hands dirty. 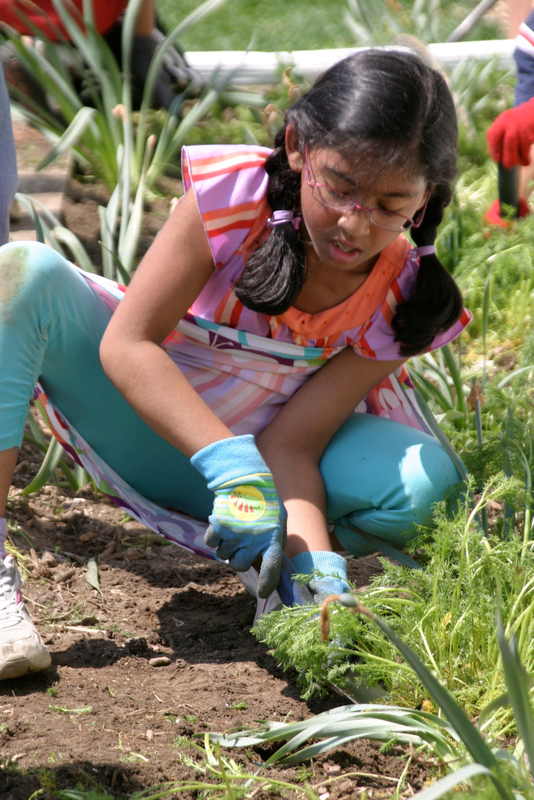 Every Friday, students (ages 12 to 15) spend the first half of their school day engaging in agriculture, horticulture, or “house-i-culture” whereby they learn by experience. Students rotate through the three sections. When in the agriculture section, they spend their time in the fields learning about farm management and animal husbandry; in the horticulture section, they focus on garden and greenhouse management; the “house-i-culture” section gives students a chance to cook meals for their classmates using the food from the garden and can what they harvest. Depending on the time of year, the farm provides up to 60% of the food eaten at school by the students. Curricula is detailed here. 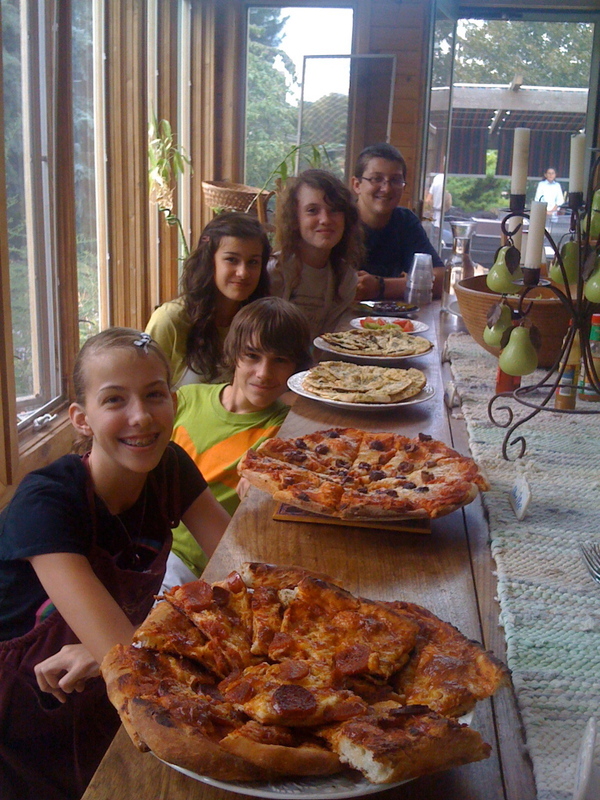 The Farm Program originates from Maria Montessori’s vision that all children between the ages of 12 and 18 should live on a farm and live as “children of the earth.” Montessori believed that by adolescence, students had gained enough book learning to live in the real world and get the rest of their education through real experience. Since today, such a lifestyle is not entirely possible or practical, the Meadow Montessori School farm program adapts by bringing students to the fields once a week. Catharine acknowledges that the program is very practical because there are so many natural consequences when working on a farm– “If you’re not mindful, the consequences are immediate. It teaches young people to think ahead and be very mindful in the moment.” Although some students are a bit hesitant when beginning their outdoor education, they quickly get over their phobias of dirt and bugs. For the most part, students are pretty enthusiastic about the program from the get-go. Catharine says it’s the parents that are initially somewhat resistant and don’t necessarily understand what their kids will get out of it. However, parents see over the course of the Farm Program that it builds their child’s self-competence, and they often come back to thank Catharine once they realize the very real benefits. While the program originally started with students working on land owned by other people, it now takes place on Catharine’s own 110-acre working farm, Plum Run, right outside her home, about a mile from the school. According to Catharine, students now feel a greater sense of ownership over the land. They can come back years after finishing the program and still feel that they had an essential part in the development and health of the land. “Kids view my house as their house and the farm as their own,” she says. Since the beginning of the program, students have grown up and many have expressed that the farm program has made all the difference in the course of their lives. Over the course of the past twenty years, it has been made evident to Catharine that it is extremely meaningful for young people to make connections with the earth and the food they eat. “They become better stewards of the earth because they are connected with the whole cycle of growing and preserving,” she says. In 2008, Catharine Calder won the Outstanding Farm K-12 Educator of the Year Award from the Michigan Farm Bureau. Her farm program at the Meadow Montessori school is just one very notable example of the growing number of schools that encourage young students to give back to the land that nourishes them, quite literally. This entry was posted in On the Playground (kids) and tagged catherine calder, education, farm to school, lindsay partridge, meadow montessori, youth. Bookmark the permalink. 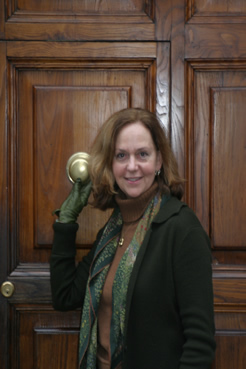 1 Response to Have You Met: Catharine Calder? Helping kids get their hands dirty since 1993. What a wonderful program. 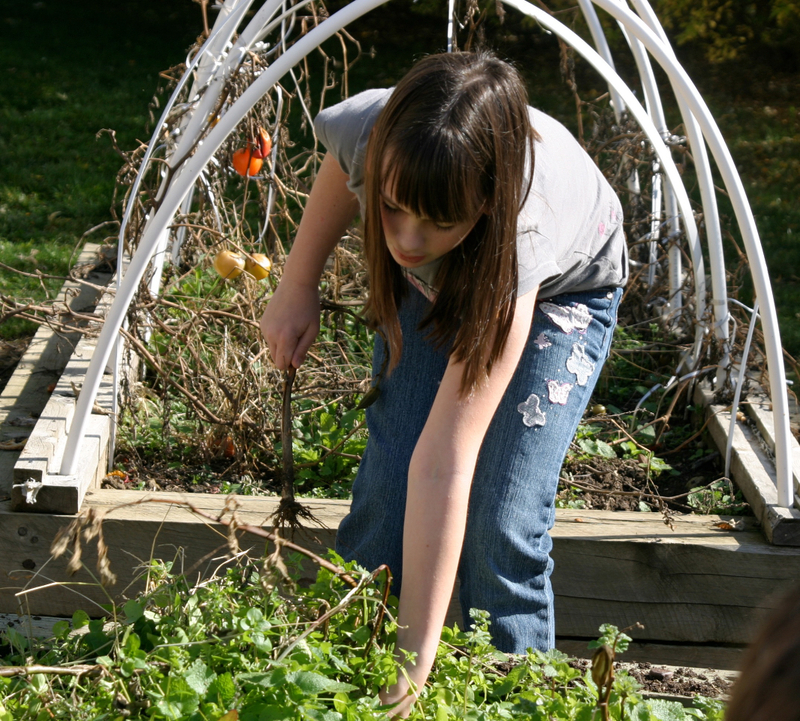 Having school kids in the garden teaches so many life lessons as well as impacting the students (and their families) eating habits. I have seen those effects first-hand: My company, Teich Garden Systems, designs and installs raised bed garden systems for schools that don’t have access to such a wonderful farm. Catherine making her farm available to the school is a true gift (and in the lingo of Mastercard – its priceless).